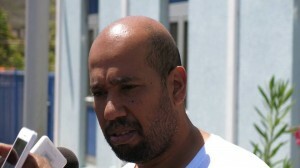 WILLEMSTAD - George Jamaloodin will be called as a witness in the Fonseca case. That was decided by the Common Court of Justice. The former Minister of Finance is also suspect in the murder case of Helmin Wiels. He is required as a witness to answer questions from the judge, except if the questions harm his own case. The Public Prosecution said that the interrogation can also take place in Venezuela, where Jamaloodin is currently under house arrest. Burney 'Nini' Fonseca’s lawyer, Marije Vaders, needs more time to study new pieces of evidence. She has received until mid-November to submit new investigation requests. The case will be treated on December 7 this year.